Why Do A Summer Study Abroad Programme in Ireland? Are you thinking about taking a summer school course? It’s a great thing to do and it really helps you get the most out of your university experience. One of the things you have to decide when choosing your summer study programme is where you’re going to study. Ireland is an excellent choice for a summer study abroad programme. Here are just some reasons you should consider spending the summer in Ireland. Ireland is such a beautiful place and whilst you’re studying there, you can take in the array of breathtaking views and landscapes that Ireland has to offer. There is so much greenery in Ireland to take in that you might not even get to see it all by the time you’re set to leave. 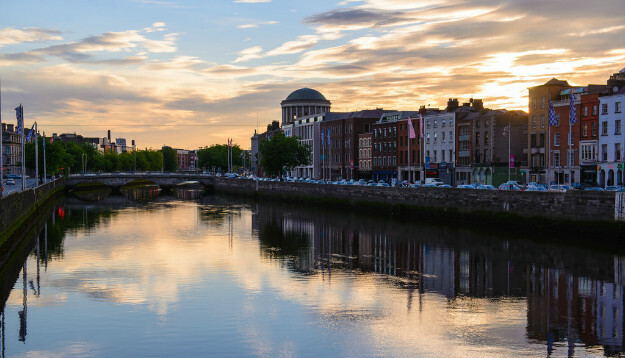 Some people are surprised that Ireland has a vast array of beaches, and a system of quiet and tranquil waterways that consist of lakes, canals and winding rivers. Over 35,000 international students from 161 countries from around the world visit Ireland to study so you’ll feel right at home. It can be difficult to study abroad but if you’re surrounded by other students in the same position of you, you can feel much more comfortable and at ease. Ireland is known for such a friendly place, in fact, in 2010, Lonely Planet named Ireland as the friendliest country in the world! In 2014, Ireland was also ranked the 13th most peaceful place on Earth by the Global Peace Index. As we said, it can be pretty nerve wracking studying in a foreign country but Ireland is such a welcoming place that you’ll soon be put at ease. You can even stay with a host family for the summer to experience a real Irish, family environment. It’s not advisable to take time out of your semester to take a holiday/vacation as it can severely impact on your studies. However, by taking a summer programme in Ireland you can combine learning with vacation time. It’s the perfect combination and means you won’t miss any of your university lessons. To find out more about studying abroad and what a summer course in Ireland can give you, contact us at IEC Abroad today.